These easy sugar free recipes will delight the senses with rich flavours and textures.... without the sugar. There is no need to go without cake for the rest of your life, just because you want to reduce your - or your family's - sugar intake. 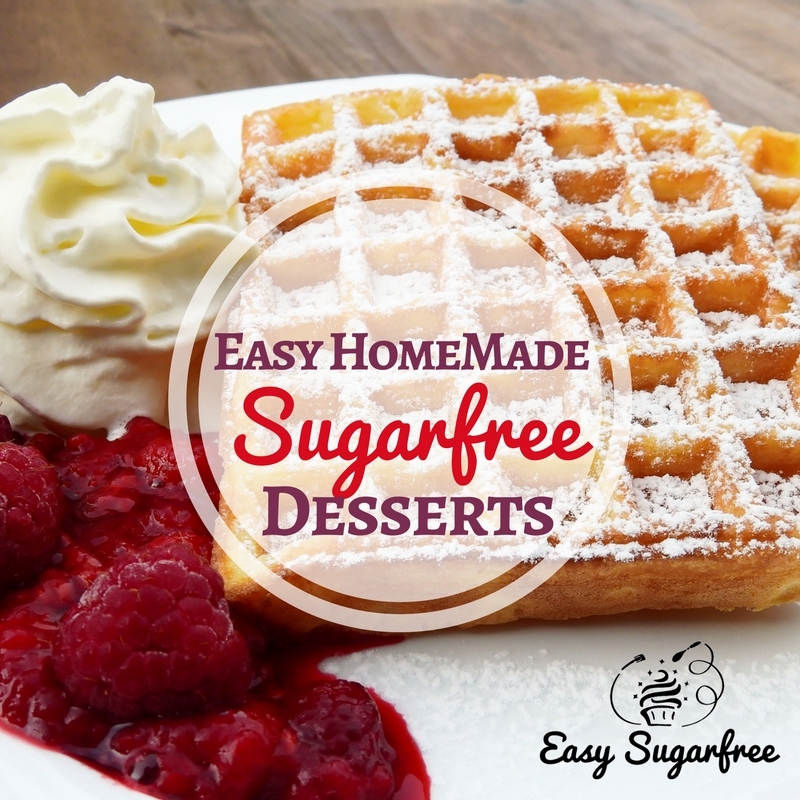 I have worked hard to produce sugarfree recipes that taste wonderful, have soulful texture and satisfy your desire for good things without the sugar overload. 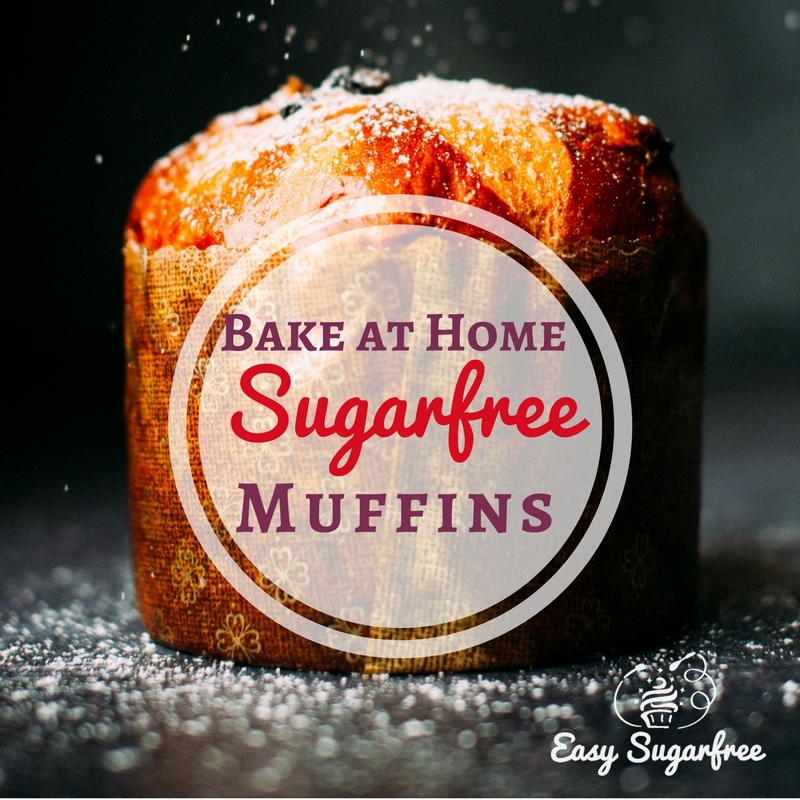 These sugar free recipes have no table sugar, caster sugar, brown sugar, corn syrup or golden syrup in them. In short, no sucrose. There are many alternate sweeteners out there. Some are just sugar by another name: honey, maple syrup, agave syrup, high fructose corn syrup. Some are less processed but are they better for you?? We also have many artificial sweeteners to choose from. I'm sure you too have found that many of them have an awful after-taste! The newer stevia based products are improving on this but my favourite sweetener remains Dextrose. 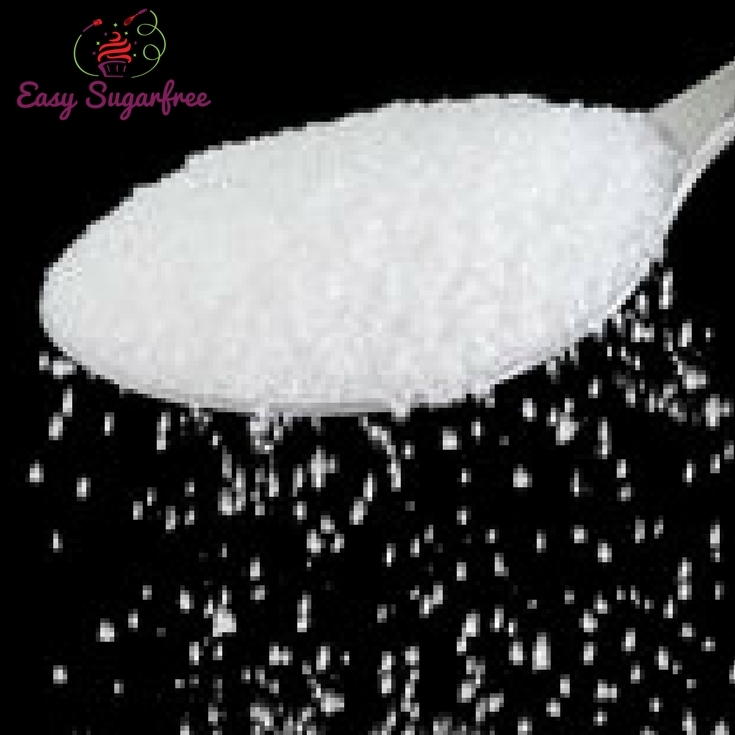 Dextrose monohydrate is a powdered form of glucose that is readily digestible and is not as addictive as sucrose or High Fructose Corn Syrup. Dextrose is a powdered form of Glucose. It is the good digestible half of sugar without the nasty Fructose. The chemical composition (for those who care) is one molecule of Glucose bonded to a water molecule. Most recipes can substitute Dextrose for sugar. When cooking with this new ingredient, you will find that it absorbs more of the wet ingredients than sugar, so the trick lies in adjusting the "normal" quantities of dry and wet ingredients to get the balance right. Luckily I have done a lot of the experimentation for you! Dextrose tastes about 80% as sweet as table sugar. The sugar free recipes for cookies, biscuits, cakes, muffins and custards that I bake using Dextrose taste sweet enough, while being able to taste the other ingredients a lot more. So raspberry muffins taste of raspberry and Shortbread tastes buttery. Are Sugar Free Recipes Easy? 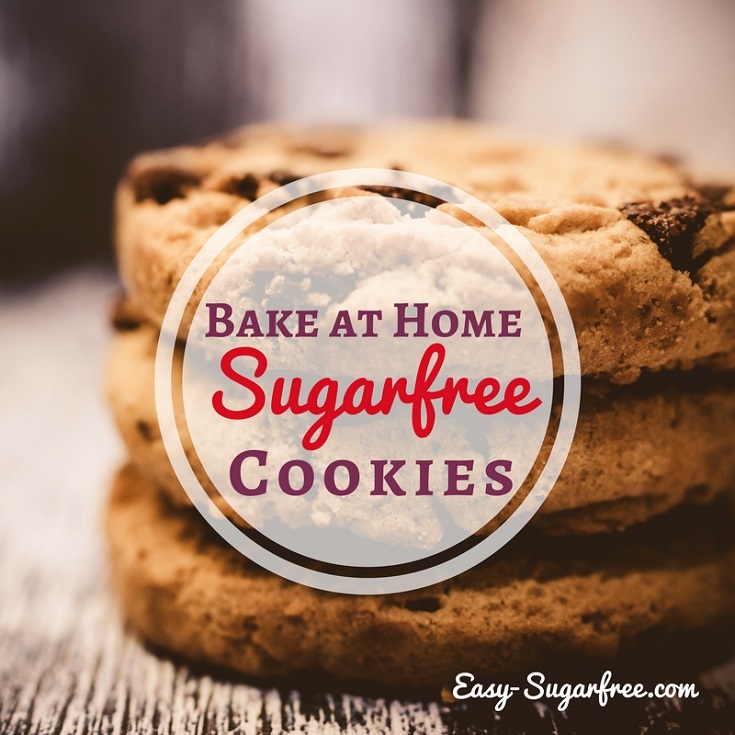 These sugar free recipes have all been tested in my home kitchen using standard baking equipment that we all have at home. The taste-testing has been done by my ever-willing family, friends and co-workers. We have a low tolerance for bad, tastes-like-it-is-trying-to-be-healthy food. If the texture is bad, then I change the recipe and try again. You want to cook sugar free food that is accepted by your family and friends because it tastes good, not because they are being polite! 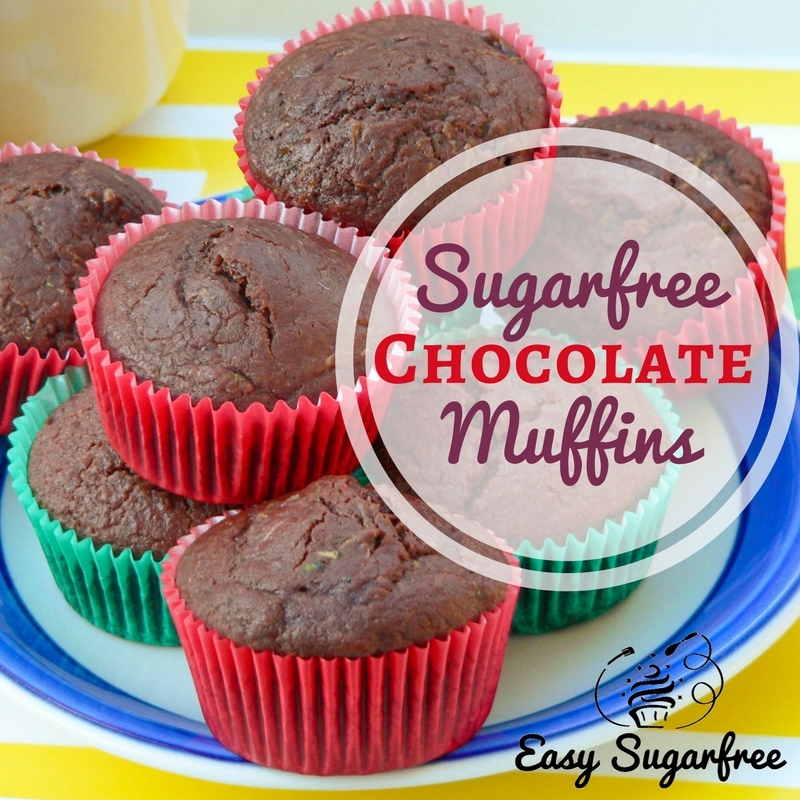 Even though these recipes are sugar free they are not calorie free. It is still possible to gain weight eating these delicious desserts and cookies. So remember to moderate your intake. 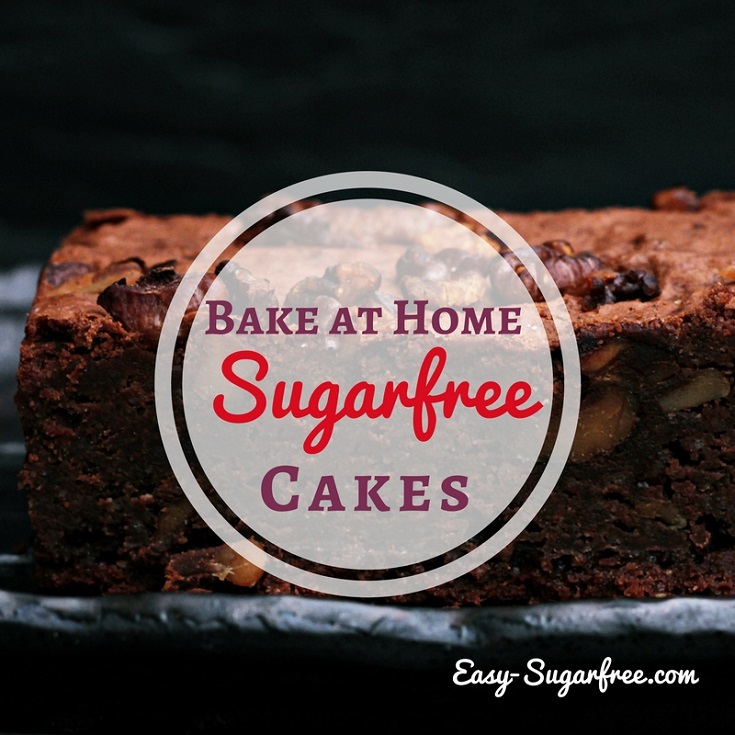 Learn how to bake delicious sugar free recipes for cakes at home for your family and friends. They won't know the difference. Chocolate cake, banana bread, cupcakes and chocolate zucchini bread to name a few! Bake awesome sugar free recipes for favorite cookies like Golden Oat Cookies, Anzac Biscuits, shortbreads, filled cream cookies. Find sugar free recipes for easy desserts that you can whip up in minutes. Custards, pancakes and puddings. What will your new favourite be? 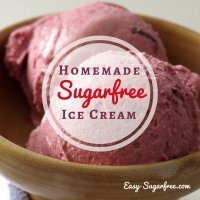 Find sugar free ice cream recipes to use with a home ice cream churner. Start with traditional flavours like vanilla and chocolate and work your way up to cheesecake or pistachio ice cream flavours. "Your recipes are amazing and really do work! I have been searching the web for a site that helped me learn to make the sweet treats we used to enjoy in our home before going 'sugar free' but the majority of the sites out there incorporate other food ideals such as gluten free or paleo etc. We just didn't want the sugar, and you have solved this for us! Thank you!" I started my sugar free life in March 2012 to help me lose my baby-weight after the birth of my son. I had lost all but 3 kg of my pregnancy weight but I really struggled to lose that last little bit. Mind you, I started the pregnancy overweight so I really wanted to lose more than that! Thankfully, my mum gave me a copy of David Gillespie's "Sweet Poison Quit Plan" and I decided to give it a go and see if cutting out sugar would change me. Well, over the following weeks the extra kilograms just peeled off me. Within 2 months I had lost 2.5 kg by only cutting out sugar. After 5 months, I was down by 6 kg(yay! ), but I was missing enjoying dessert. So I went looking for sugar free recipes for cookies, easy desserts and cakes etc but I didn't really find many sugar free recipes on the internet to replace my traditional cookbooks. It was especially hard to find dextrose-based recipes rather than stevia recipes. I started this website to share with you my recipes as I convert them from traditional sugar-filled recipes. I would love your feedback on your favourite recipes and what works in your kitchen. Hmmm, six months later it was Christmas and I had been eating all of my experimental baked goodies so I put all the weight back on (Oh dear!). Maybe portion control also plays a huge part, eh? That's when I discovered Kathleen Desmaisons and her wonderful work on healing Sugar Sensitive Biochemistry. I highly recommend having a look at her books "The Sugar Addict's Total Recovery Program", "Your Last Diet! ", and the original "Potatoes Not Prozac". Kathleen sets out a much more comprehensive plan for healing sugar addiction. So we need to watch what we eat and carefully choose the right balance. That's where these recipes come in. There are always occasions and events in life that require special treats but that is no reason to fall off the wagon. With sugar free recipes, you can know exactly what you are eating (because you made it yourself) and enjoy a treat without reigniting an addiction. I'm giving it a go, why don't you? Which Sugarfree recipes work with dextrose? So far, all of my sugar free recipes on this site use Dextrose. Over time, I hope to experiment with other sweeteners such as Stevia and Sucralose. Click on "What's New" for updates. Which Sugarfree recipes do you keep coming back to? There are some recipes that I have made over and over again! Muffins are a favourite food in our house. I make them with mini muffin pans, so they are the perfect size for toddlers and lunchboxes for the kids. It is easy to hide vegetables in muffins too! Our favourites include the chocolate almond muffins on my chocolate muffins page, and my homemade sugar free ice cream recipes.